Are you interested in venturing into profit making online business? You need an e-commerce platform that will handle an array of products, clients, customers, and orders. 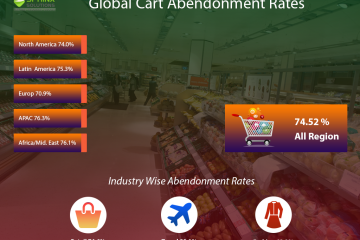 A shopping cart offering flexible design, easy user interface and a vast possibility of customization will definitely fulfill aggravating expectations of your clients and consumers. Here we are comparing four of the major e-commerce platforms topping the charts and winning the hearts of many retailers. Magento has been around since 2007, now acquired by eBay Inc. this platform is immensely versatile promising new improvements and futuristic opportunities. It is a PHP and Zend Framework based platform and considered the current leader in e-commerce industry. As of now, Magento, with unmatched flexibility and excellent scalability is empowering more than 200,000 e-commerce stores. One of the best thing about Magento is it comes in both forms as a free version as well as a paid version. Rich in functionality and features offering in-depth and powerful e-commerce platform for stores. If you have the right infrastructure and support, Magento is the best option to achieve speed and agility. It is tried and tested e-commerce solution offering the best-known SEO functionality for both desktops as well as mobile websites. Accommodating more than 500,000 products and 800,000 transactions in an hour, Magento is a seamless platform that grows with your business. Almost 200,000 developers playing on the Magento ground ensure a big and supportive community offering a scalable solution to any kind of technical glitch. Although the community edition is free, updates are paid making it troublesome for small and medium-sized online businesses to afford regular updates. It is easy to up and run an e-commerce store using Magento, but it is complicated to set up or customize leading to a longer learning curve. It is a One-size-fits-all solution, so is not suitable for retailers having a unique store with unique products, requiring unique solutions. Based in Hong Kong, OpenCart is a very easy e-commerce tool that came into existence around 2008. It is flexible enough to manage the unique needs of basic and advanced online stores with similar ease. Backed by their own set of themes and extensions, retailers get to choose an array of diverse themes categorically either for free or for an easily affordable price tag. With its own set of tools and well-prepared documentation, it becomes easy to setup, run and manage your own e-commerce store using OpenCart. If you ever get confused there are Screencasts ensuring smooth support. 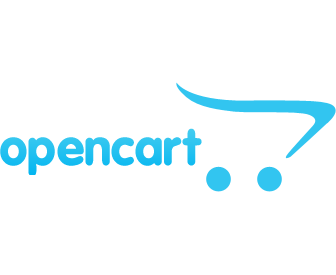 The best thing about OpenCart is you can run it virtually on any server configuration, provided it supports all kind of databases and PHP. It is an Open Source platform offering considerable ease to install and set up without any expert help leading to a shorter learning curve. It is one of the most flexible e-commerce platforms as it offers complete customization and ease of managing and controlling multiple stores using a single console. Availability of versatile extensions and themes either free or at an affordable price makes it easier to use a theme that justifies the product or service listing in your e-commerce store. OpenCart has a set of some sound features increasing its overall scalability and functionality as if catalog and a well-aligned order processing mechanism. Compared to Magento, the cost of setting up OpenCart store is easily approachable and affordable, even for small e-commerce players. Customizing and tweaking an OpenCart store is not an easy job, external or professional expertise is needed to take it further. Not all the partner extensions and modules integrate with multiple stores, checking the feasibility of the store are necessary before using it. Recently merchants in need of robust licensed e-commerce solutions have voted X-Cart as one of the preferred e-commerce platforms. PHP Foundation, Turnkey installation, Easy customization and Search engine friendliness are some of the prominent features driving merchants towards X-Cart. Compared to other licensed e-commerce solutions, X-Cart is affordable and flexible. It provides two options X-Gold and X-Pro having monthly subscriptions and X-Cart support. Being a browser-based shopping cart software it becomes easy to access your account from anywhere. X-Cart has a unique extension store wherein you will find hundreds of extensions and add-ons that can be freely utilized to enhance the functionality of the online store. Upselling, Cross-selling, and Discounts are few inbuilt marketing tools in X-Cart intended to drive sales and increase the reach of your web store. Access to state of the art SEO tools like Meta and Title Tags, XML, Sitemaps, etc. to rank higher in organic search and in CTR. Offers seamless admin experience as the platform grows with the store allowing an unlimited number of product listings both hard and soft. The templates are all basic and limited needing an expert programmer to carry out changes, customization or tweaks leading to a higher learning curve. Apart from licensing, hosting, security, programming, and paid extensions, modules, and themes, increase the overall cost of X-Cart platform in many folds. With an intention to offer WordPress users a customized shopping cart tool, WooCommerce came into existence in 2011. With so many WordPress, sites already in the market, it perfectly made sense to offer them an extension in terms of the e-commerce platform. With more than 10.2 million downloads, WooCommerce by far is the most popular e-commerce solution in the e-commerce business. Due to the incredible scalability, and ease of customization, WooCommerce remains a popular choice amongst the professional e-commerce designers and developers. Versatile and number of themes are available in WooCommerce allowing users to create a storefront in its default form. Additionally, as developers and designer have full access to source codes there are unlimited options to design and develop a customized solution in WooCommerce. WooCommerce is regularly updated so users do not have to worry about the security issues. The daily update makes it compatible with latest WordPress versions and keeps is free of bugs. WordPress is updated at regular intervals and it is necessary to keep the platform up to date; however, some plugins and add-ons fail to adapt with the updates leaving you with non-working plugins. Sometimes when you update the site using visual Tab, it does not proceed smoothly leaving flaws in design, text and image alignment. It is hard to customize an existing theme since each theme is programmed and designed differently. To do so you need to call in an expert programmer well acquainted with source code development. It does not matter whether you are planning to build a small e-commerce website with limited products or you are planning to develop a large enterprise web store, one of the listed e-commerce platforms will perfectly do the job for you. Go through the Pros and Cons of each to get a better understanding of one platform that has the potential to match your expectations. A word of advice, ‘switching platforms in between is a nightmare in e-commerce business; therefore, chose an e-commerce platform with a futuristic vision’. At Sphinx, we have a team of designers and developers have proven expertise and versatile experience in the e-commerce industry. E-commerce platform is not a major norm for us since we specialize in e-commerce development using versatile platforms. 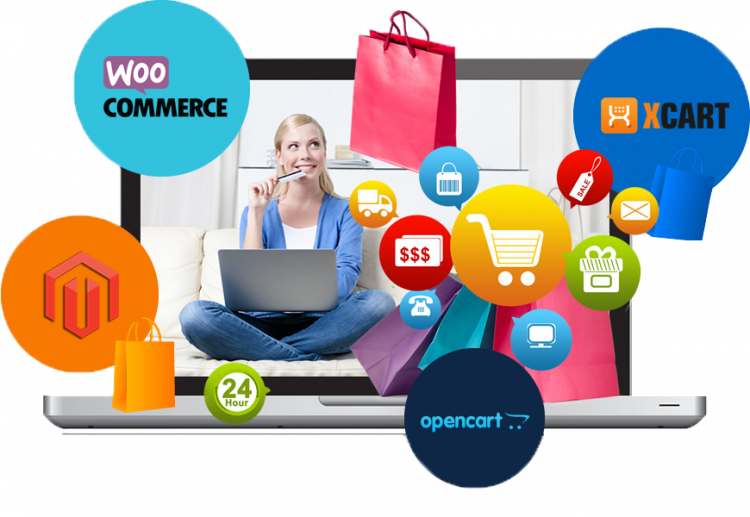 E-commerce website development either in Magento, X-Cart or in OpenCart is similar, as all of them require equal efforts and a single aim of satisfying client expectations. Feel free to reach us, if you have any e-commerce business idea that you are interested in transforming into reality. We will not only build an e-commerce store for you but will also ensure the future growth of your e-commerce website.